Official Synopsis: Dexter finds himself teamed up with a fellow Dark Passenger when he takes a road trip to Nebraska to tie up some loose ends from the past; Debra deals with the complications of her promotion as she leads the Doomsday investigation. What did you think of last night's episode of Dexter, 6.07 "Nebraska". The opinions are divided. Tell us what did you liked the most about this episode -or not- in the comment section! I thought it was not only the best episode of the season so far, but one of the best episodes out of the entire series. The dynamic between Dexter and Brian was a real pleasure to watch. Seeing Dexter walk on the wild side was highly entertaining. I will admit, I was relieved to find out that Jonah hadn't fully gone off the deep end. All in all, it was a great episode and I am stoked to see the rest of the season. I thought it was cool to open the episode with the sound of harrison crying from season 4 finale/season 5 opener. I really liked it. It is annoying how DDK has almost been a B story the entire season. The divergence into the Brother Sam relationship has made it less of a crime thriller than it has been in the past. Dexter finds Travis easily and could have at least attempted to force him to take him to Gellar, but he just lets him go. Then he gets distracted with Brother Sam's killer and gets distracted again with Jonah. It's hard to feel like DDK is this urgent thing in the season when the main character seems only tangentially interested in it. Which is kind of a shame. As they point out, outside of the ITK, these are the most elaborate intricate murders in the entire series, but the season has been dominated by other story lines thus far. It seems like it's worth adding that it reveals an inherent selfishness in Dexter. The DDK situation is one in which future murders are being planned. By comparison Jonah and Brother Sam's murder are merely personally interesting to Dexter. He's unable to distance himself and let those things wait while he deals with DDK and save lives that are in jeopardy. The DDK is going to make or break Deb's career is interesting as well. If DDK disappears off of Dexter's boat and the case goes unsolved does Deb pay for not catching the killer. Does Dexter put Deb's career in jeopardy just so he can be the "one" who gets to do the deed? OH! I also wouldn't be surprised if Deb gets killed. In the preview Travis sees her which puts him on his radar. We also get the sense that his own sister might be in jeopardy. There's a nice symmetry in him killing Dexter's sister as a replacement for his own. It's not out of the realm of possibility that it's difficult for MCH and Jennifer Carpenter to work together and she went to the producers and said I'll do one more season, but then I want to move on. I kind of feel like it was too distracting seeing Brian be so "hands on" in the episode. I just think it could have been better if Brian was there whispering thoughts into Dexter's head. Something else I didn't like was how quiet Dexter and Brian were during the road trip. I think it could have been better if they at least had a brief conversation about Dexter killing him. A couple plot holes really bother me about it, as well. How did Dexter carry the hotel manager's body to the top of the grain silo? The guy weighted at least 200 pounds. Also, the body should be found quickly, when someone physically gets inside to sweep the floor of the silo. Actually, I think that whole thing with the hotel manager was pointless. I think that is all I didn't like. Everything else seemed okay. It just didn't seem like a mid-season episode to me. I think I may have enjoyed it more had it been earlier in the season. The episode just felt like a distraction from the main plot of DDK. DDK feels more like the secondary focus of the season. I'm not all that fascinated by the killers, anyway, but I think it would help if Travis and Professor Gellar were the primary focus. I liked the episode. The dialog between Dex and Brian was fun. I did have a problem with the plot holes others mentioned. Also - Dexter is one damn good shot. I'm no guns expert, but being able to nail a road sign from speeding car would be quite impressive - especially if you manage to heat exactly what you are aiming at, especially with a gun that would pack as much recoil as the one he was using. That part struck me as a bit of a stretch. Also - I think he fired more than six shots, but I'd have to go back and watch to be sure. I preferred the episode on 2nd viewing. But I can't help feeling there should be have been more to the Dexter-Brian storyline. I don't mean more screen time, just more meat, more depth. It was MCH and Camargo's performances that carried their track rather thna the writing. Rather liked the fact that while Dex was succumbing to his dark side, Travis was trying to shed it. Hanks is finally kicking in, performance-wise. It was a very well-directed episode by Romeo Tirone, but one was left with the feeling that all the important plotlines were in cruise mode. And they seriously have to do something about Deb's negativity. Just because Dexter's 5 day disappearance has to be noticed doesn't mean she should stop all work till he returns. She yanked him back to work just after Rita's death and she's whining again. Then as soon as he helps her with a lead, she starts putting him down again in the department. The writers can't make her look this bad. Not if they're keeping her front and center they way they have all season. as a viewer i've never found it "odd" that Dexter talks to his dead father. it's so commonplace. however when Dexter began talking to his brother in this episode, it seemed as tho Brian was controlling his thoughts and even his actions. i thought this developed the character further. instead of the mild mannered serial killer on a mission right wrongs, he is guided by imagined voices and visions to act/react in ways out of character. imo it gave me some insight into Dexter's unstable psyche complete with voices, mutilple personalities, and delusions. I hope Brian comes back later in the season. Not for a whole episode. I wished he stayed around longer since they kept saying it would change the whole dynamic of the series and hyping it up. Well guess what? We're back to square one. Maybe he'll be back to challenge Harry or something. I thought the Jonah fight might last longer since they were in a store full of TOOLS. It makes sense though that it didn't last long because Dex is so skilled. The one thing I still don't understand is why Dexter wants the Doomsday Killer. He said it himself this episode that he got selfish with Trinity and wanted to be the hero and it cost him. Now he's doing the same thing. The part about Jonah saying how his mother, sister and him decided to not mention Kyle Butler to the FBI, didn't make sense to me at all. If they didn't talk to the FBI about Kyle Butler, then how did the FBI even have that name? The Mitchell's had to have given the FBI enough information to make those Kyle Butler sketches, too. Those sketches were too good for only Quinn to be suspicious. Everyone at the department should have instantly made that connection, that Kyle Butler and Dexter were the same person. Very disappointed in the writers inaccurate depiction of Kearney, NE. Kearney is the home of University of Nebraska at Kearney and is the fourth largest city in the state. Nebraskans are not backward hicks that attend chicken festivals and keep livestock for pets. 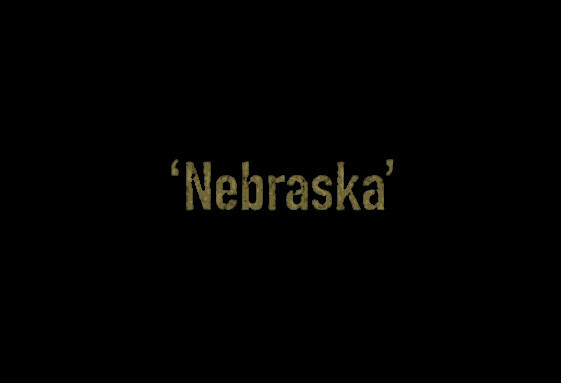 I love Dexter, but as a born, bread, and raised Nebraskan am a bit insulted and disappointed in the depictions of the setting in this episode.